I went to the Hilton Hotel in Ankara's desk today and asked whether the city had a centre. To which the answer was no. To which, I discovered, the answer was that it used to have. 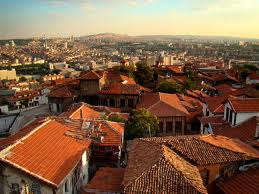 The community that nestles around the citadel, the ancient heart of Ankara, is dilapidated but being restored, slowly. Narrow lanes fade from cobbled to dusty and broken, houses fade from restored to impoverished. I took lunch in one of the newly restored houses, sitting in the courtyard, on my own, and I sat thinking, 'how extraordinary'! Here I am in the capital city of an emergent power, sitting in its ancient heart, alone, on a Saturday afternoon. It is sadly not so unfamiliar - cities that have grown neglecting their centre are deeply familiar yet how do we persist in allowing it to happen? 'Former People: The Last Days of the Russian Ancestry' by Douglas Smith is a compelling, well-written account of what happened to the nobility in post-revolutionary Russia. It is a history of the subset of the victims of the conflict but they are paradoxical victims in that they had presided over or benefited from an autocratic system of striking inequality and structural violence. This was replaced, ironically, by a totalitarian system of embedded hierarchy and greatly magnified structural violence, led, yet more ironically, by a 'former person', namely Lenin, whose family had noble origins! It paints a vivid, personalized picture of people's multiple, complex responses both to the Revolution, its aftermath and the long journey (for those who stayed in Russia) into the darkness that was Stalin's rule. Sitting this evening on the terrace of a restaurant in Ankara, I discovered that the quiet park opposite where elderly men played backgammon and couples strolled in the quietening summer heat, was the site of Ankara's contribution to recent unrest. Demonstrations against a government perceived to be favoring an Islamic majority over a secular minority - though, in truth, the demographics of the protesters were more complex than that simple division. All now is apparent calm and the 'foreign provocateurs' have failed, as the government narrative would have it, though I doubt whether they ever existed, and, even if they did, I wonder if anyone in government pauses to think that even a provocateur needs a pre-disposed audience. I might light the fire but the tinder must be dry and willingly ignite! In Switzerland for an impact investing conference, I took the train from Zurich to St Moritz yesterday evening and it was a beautiful journey, with the unseasonably damp and misty weather heightening rather than reducing the effects; especially with the fast flowing streams, cascading below you through narrow valleys and the mountainsides appearing and disappearing with each shift of cloud. Needless to say, being Switzerland, the train kept impeccable time. Whist in the tunnels, I was re-reading Kyriacos C. Markides, 'The Mountain of Silence' on the Orthodox mystical tradition. I had forgotten how good it is. He as the cultured representative of 'the West' - academic, curious, skeptic and his interlocutor, Fr Maximos, the monk from Mount Athos, restoring the tradition to both men's native Cyprus. A new (for me) sacred minimalist: Vladimir Martynov. It is a family resemblance of music making that has deeply enriched the landscape of the last quarter of the last century and the first of this. Compellingly it is a 'phenomena' deeply rooted in 'Eastern' Europe either by birth (Gorecki, Martynov, Part) or adoption (John Tavener) and it is a true gift of a music that transcends emotion into feeling. I recall Metropolitan Anthony, the long running and wonderfully holy Russian Archbishop in London, describe how his choir had finally realised the difference between allowing their music to express the reality of feeling, a reality that sang through them, and imparting their emotion to the music that they were singing. The former came from a place in themselves that was beyond their egos, the latter was singing from their moods, their egos. Ceremony is a novel written with a poet's sensibility. The language is rich, textured and symbolically precise. No image is simply descriptive: each bears witness to an unfolding cycle of story telling where an individual's journey of healing is set within a wider, sacred story. Tayo is a half-breed - a 'fallen' Indian mother mated with an unknown white man and before her death from alcohol and depression handed her son to her sister and her husband, brother and grandmother. Tayo grows up with his cousin, Rocky, the bright star of his mother's eye, in contrast to Tayo's ongoing witness to failure. But it is Tayo who comes back from the war - broken by the trauma of being a Japanese prisoner of war - back to the reservation where his friends (also veterans) drink to forget not the war but their new status as discarded veterans, no longer 'honorary' white folk but back to marginalised no good Indians. In Ursula Le Guin’s parabolic novel, ‘The Telling’ an alien society has appropriated and zealously applied a one dimensional view of human culture focused on the technical, the mechanistic and the consumerist. The traditional culture of Aka is repressed and takes upon itself a counter cultural and subversive form in the practice of embodied spiritual practices and in a communal story telling that allows space for wider, deeper vision of things than that of the monologue of materialism. 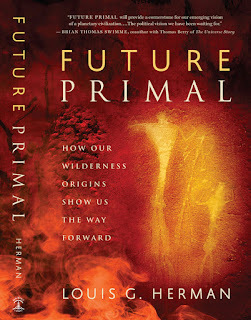 Louis Herman’s book ‘Future Primal’ has as its subject the loosening of the binds of a similar imprisoning ideological commitment, whose once impressive value is delivering ever decreasing returns, namely that of ‘Classical Liberalism’ and by reinstating in new forms a primal culture that places at its heart a quest for truth and an on-going, enriching conversation about what constitutes the good life against the background of a wider and deeper story of human origin and direction. Between meetings yesterday, I did what I often do not head for a cafe to furiously beat my thumbs against my Blackberry in answer to the call of the myriad e-mail - they can wait - but step a moment into the National Gallery and find a picture. Sometimes this is a random of gift of circumstance, sometimes it is a straight line towards a given favourite. 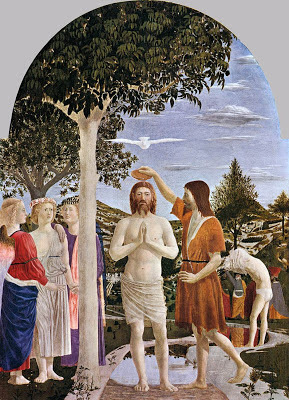 It was the latter yesterday and Piero della Francesca's 'The Baptism of Christ'. This was originally designed as an altarpiece for a church in Sansepolcro, Piero's hometown. The baptism takes place in a Jordan river of the painter's imagination and within the painter's place - the hills in the background are the Umbrian hills. The baptism is an event eternalising time - it is both an historical moment and one that is now and for ever. It can present itself anywhere and invites itself into our narrative now and here. Frank Capra's 1937 film was mutilated in a Second World War re-issue by 24 minutes to exclude the film's pacifist message. Lovingly restored, offering relevant stills where the film itself remains lost, the original is a fabulous testament to an exemplary film makers art. It is dated (as is the book) by the assumption that Shangri-La's possibility was only made possible by the entrance of a Western missionary, bearing a Christian ethic, into a hidden valley in Tibet; and, yet, it transcends that colonialist folly by offering an universalist message of hope. The founding Catholic priest, transformed into the High Lama, offers as his essential teaching: 'Be kind' and in doing so could be the present Dalai Lama. The poet and Blake scholar, Kathleen Raine, tells in her autobiography, of her first glimpse of the poet, Edwin Muir. He was sitting, off to one side, at a party, smoking, and gently talking to another guest in the quiet cadences of his native Orkney. She fled confronted by an image of grace and goodness that her then own carried self estimation could not bear. 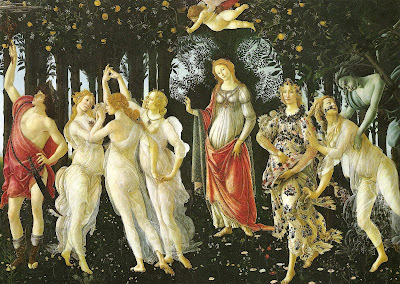 There is a moment in Linda Proud's novel, 'A Tabernacle for the Sun' (the first of her wonderful Botticelli trilogy that I have just finished) when her central character, Tommaso dei Maffei, flees from a prospective encounter with the Renaissance philosopher and translator, Marsilio Ficino, with a similar fear disguising his innate goodness and taking him, temporarily as with Kathleen Raine, from a sphere of sustaining, revealing truth, embodied in a particular and receptive person. Gene Roddenbury the founder of the proliferating Star Trek franchise was a comitted agnostic and humanist and, thus, might be a mite unhappy about the branching out into the domain of the religious and mystical but it happened in any case. You cannot determine the life of your own creations (as I know only too well). One of the first episodes of , to my mind, the best branch of the franchise, Voyager, has the second officer, Chakotay, a Native American, introducing his captain to her 'sacred guide animal'! Fine by me but for Gene? However, the striking feature of Star Trek is how the values established at the outset continue to inform the whole. As the Pope remarked recently, the good is not the exclusive possession of the religious (indeed the Catholic) and Star Trek is a consistent exploration of what it might be to uphold and live the good as an ideal. There are moments of disappointment that recur. One such was working on a set of translations from Rumi that, sadly, never appeared and for which I wrote this introduction. I was reminded of it today reading of the riots in Istanbul. There is a wisdom in Rumi that ought to be contemplated by both sides of an embittering dispute - that the centre of religion rests in the heart not on prescription and that the heart of religion is a liberating offer not a repression. "It was the eight hundredth anniversary of his birth and Istanbul was alive to his memory. At night, lasers painted colourful dancing forms on the dome of the Blue Mosque. During the day, people flocked to Hagia Sophia to an exhibition celebrating his life and that of the Mevlevi Sufi Order that he had founded.